Valentine's Day is one of the sweetest days of the year filled with such love and promise. 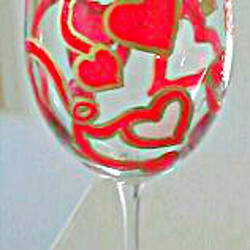 What a great way to celebrate the magic then with a hand painted Valentine wine glass to give to your lover. But you must have one for you so wouldn't two be in order?